Whilst it may seem easy to start a business, invariably entrepreneurs make mistakes, some of which can be fatal to the business. Around 30% of startups fail within the first 2 years and about 50% fail to survive the first 5 years according to US & USA figures on startups. There are a variety of reasons a business can fail and sometimes these reasons are out of its control. 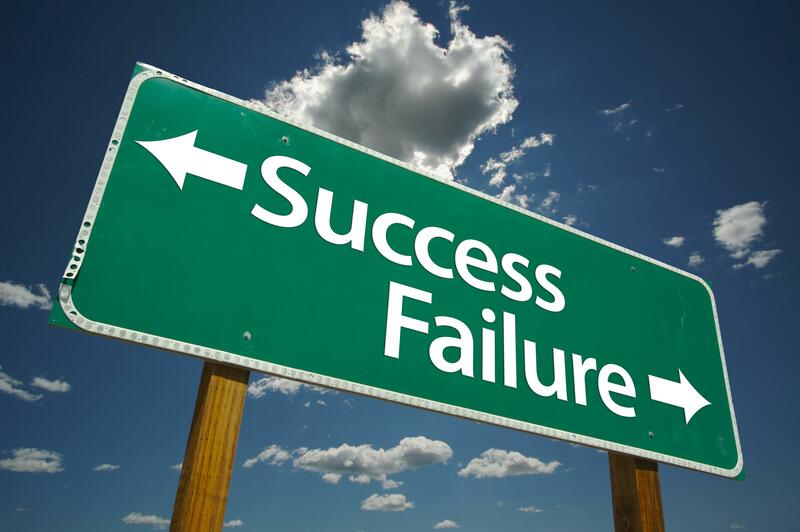 As far as what is in its control, here are the 5 common mistakes that make businesses fail. WIthout a well-developed Business Plan, you’re planning to fail! The business plan will develop the business idea and test its strengths and weaknesses as well as contain the financial projections and a sound marketing plan. You should always get your Business Plan read by outsiders to ensure that the idea is sound and that the market for your product or service exists. Few companies invent a completely new product and even then will have competition very soon afterwards. Of course the plan has to be executed efficiently as well. Poor financial management includes lack of cashflow planning and management, not paying your taxes when due, incorrect pricing of a product or service and a general lack of proper accounting and financial controls and procedures. This is an area where a part-time or full-time finance professional can add more value than what it costs to hire them. Most entrepreneurs under-estimate the start-up costs and over-estimate the revenues and profits that will be made in the early years in their Business Plan. This is one of the most common reasons for businesses to fail. External investors would perform adequate due diligence and always build in a contingencies. In the early years if revenues do not match expectations, there must be a sufficient reserve of funds to pay staff and other costs to carry on the business until sufficient profits are achieved. So it is worthwhile to be conservative when projecting the cash required until the business is cash positive. Economic fluctuations, rapid technology changes and a myriad of other impacts on a business mean that management teams and entrepreneurs must be adaptable and make the business flexible to respond to such changes. Even the largest companies can fail due to lack of foresight and an unwillingness to see the “writing on the wall”. This is unusual but does happen and even though it may seem great to exceed demand and revenues, sometimes it is safer to take it slower and plan the business growth over a longer period rather than over trade. Over trading can cause cash flow problems usually due to lack of working capital. Debtors always pay slower than the time you have to pay your suppliers. Some of these mistakes can be rectified if you do it in time. You must have the right team and always have a Plan B in your back pocket!